Europe's battered car market is set to grow in 2014 after its six-year slump, which may ease retail pricing pressure that has saddled some of the region's carmakers with losses that will weaken them for years. Automakers and industry watchers expect vehicle sales to increase by up to 3 percent this year. The rebound will bolster the industry's bottom line, particularly for automakers such as Fiat and PSA/Peugeot-Citroen that are most exposed to the deep recession in southern Europe. With economic conditions showing a tepid recovery in most European countries by the end of 2013, buyers are finally starting to feel confident enough to make a long-delayed purchase of a new car – albeit at discounts of up to 24 percent. Click on the file (above, right) to download information on percentage discounts in key European markets. Ford of Europe sales and marketing boss Roelant de Waard said the heavy discounting that has hit automakers' profitability may ease in 2014. "Once the difficult decisions to close factories by the various manufacturers are executed, I think you'll start to see a healthy price level," he told Automotive News Europe. Hyundai Europe Chief Operating Officer Allan Rushforth told reporters last month that the European car market is challenging and will remain a "competitive environment in the months to come." Hyundai predicts a 3 percent rise in European vehicle sales for this year. "Discounts are tapering off but will continue through 2014," said Carlos Da Silva, head of European light vehicle forecasting at IHS Automotive, which is predicting a 2.5 percent sales rebound in 2014. Click on the file (above, right) to download a long-term sales forecast for key EU and EFTA markets. Carmakers come into the modest recovery leaner as Ford Motor, PSA and Volvo closed plants in 2013. Ford has eliminated 18 percent of its European capacity, General Motors about 20 percent and PSA 13 percent. In addition, GM decided last month to withdraw its Chevrolet brand from Europe at the end of 2015, which means competitors will be able to try and win some of Chevrolet's annual sales of about 175,000 units in the region. However, industry observers say mass-market producers still aren't lean enough to make money in a market forecast to hit less than 13 million in 2013, nearly 25 percent below its 2007 peak. While the United States addressed its own crisis aggressively in 2009 by cutting factory capacity, creating the foundation for its current profits, Europe, with nearly 300 factories in 2012 stretching from the tip of Spain to deepest Russia, only did half its homework. Its recovery has been hobbled by politicians who want to keep plants open to protect jobs. So its rebound is weaker, and will be less profitable. Losses will ease this year, but won't completely disappear. "We still believe there is too much capacity and the measures in place won't be enough to bring the industry back to profitability unless we see a strong market rebound. And that's not what we will see this year," said Falk Frey, senior vice president at Moody's, which forecasts a 3 percent upturn for western Europe. With the smoke starting to clear from the price-war battlefield in 2014, carmakers will be looking to see which rivals are positioned to benefit from the upturn, and to gauge the damage to what was once the largest car market in the world. The first thing that will be apparent in the aftermath of the longest market downturn in history is that the recovery is geographically based, industry observers say. Since their 2007 peak, Spain car sales have plummeted 54 percent and Italy is down 48 percent. Meanwhile, Germany and UK sales each have fallen 6 percent, according to the latest figures from IHS. France is somewhere in the middle, with a 14 percent drop from peak. The southern European markets that were the worst-hit are likely to see the biggest immediate benefits, while their northern European cousins, such as Germany and the UK, where declines were in the single digits, will be less affected. IHS is forecasting a 4 percent increase in Spain, 5 percent for Germany, 2 percent for France and 2 percent for Italy, while it sees the UK nearly flat at about 1 percent. For the western European car market, the consultancy sees a bounce of 2 percent. "An uneven recovery benefits the makers of cheap cars," said Philippe Houchois, automotive analyst at UBS. "It will be the southern European carmakers that will benefit most from the effect of a return to higher capacity utilization. If you are running at low capacity, even a small increase is a big delta. If you are Volkswagen, it's marginal." Volkswagen Group, including its Skoda and Seat brands, will be a winner as southern European markets recover because of its wide product offering in the mass-market segments, said Peter Fuss, Germany automotive leader at EY consultancy (formerly Ernst & Young). The most obvious winner will be PSA, which burned through 3 billion euros in 2012 and now has all the ingredients of a classic automotive turnaround in the coming years as it recovers along with the French market. The new Peugeot 308 hatchback is mentioned favorably by analysts. But the turnaround won't happen in 2014. "With the overcapacity [in Europe] and a market volume that will not recover very fast, the situation will remain really tough price wise," Peugeot CEO Maxime Picat told Automotive News Europe. Fiat, the other European volume player burdened by big losses, faces strong headwinds until there is a significant pick up in its domestic market, which it shows little sign of doing in 2014. Fiat told investors at a Goldman Sachs presentation in early December that average prices are stabilizing, but not improving. Fiat CEO Sergio Marchionne said at the event that he does not share the view that Europe is rebounding in terms of either sales or pricing in 2014, according to a person present at the event who asked not to be identified. At the Frankfurt auto show last September, Marchionne told reporters, "I think we're scraping the bottom of the barrel. The problem is you never know when you're done scraping." 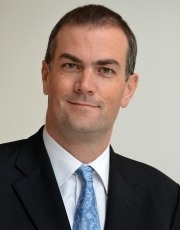 Jonathon Poskitt, head of sales forecasting for Europe at LMC Automotive, said: "Italy is really in the doldrums at the moment and with it accounting for about half group sales in western Europe in the last couple of years, Fiat faces a strong headwind to growth until this market begins to pick up in any serious way." After putting product investment on hold during the crisis to conserve capital, Fiat may gain some traction this year with the launch of its new Jeep- and Fiat-branded small SUVs. The models will join a segment that analysts say will continue to be a hot. Fiat's bottom line also should get a boost from the arrival of new models at subsidiary Maserati. By the end of the year, the real winners in the volume segment will emerge, as buyers in southern Europe replace their cars. But the outlook for mass-market carmakers remains extremely challenging. Ford, Opel, Renault, PSA and Fiat will continue to be squeezed from above by premium brands Mercedes-Benz, Audi and BMW as those manufacturers continue to introduce smaller cars, and from below by the likes of Dacia and Kia. Recovery won't bring revolution, say industry observers. The landscape visible through the clearing battlefield smoke won't be much different, because Europe's weak recovery is unlikely to generate many new jobs. "Are we talking about a jobless recovery? If so, I see the current product trends continuing. If there is a recovery of unemployment, the mass market will do better. If not, I see cheap and cheerful doing well, and premium continuing to do well," said Michael Tyndall, director of European auto research at bank Barclays. Premium carmakers will continue to gain traction, along with the trend toward smaller luxury cars. BMW's front-wheel-drive platform will compound the squeezing of the middle market, said George Galliers, automotive analyst at ISI. BMW is positioned to continue to grow, supported by a broad model lineup. And Mercedes' upcoming GLA compact crossover is seen extending the brand's winning streak, which started with the new A class compact car and has continued with the CLA coupe-styled sedan. 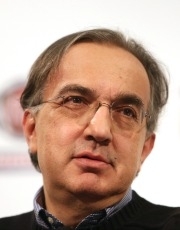 Marchionne: "I think we're scraping the bottom of the barrel. The problem is you never know when you're done scraping." The crossover segment will continue to outperform the market, analysts say, as buyers seeking a higher-seating position continue to pay higher prices for models such as the Renault Captur, Opel/Vauxhall Mokka and Peugeot 2008. 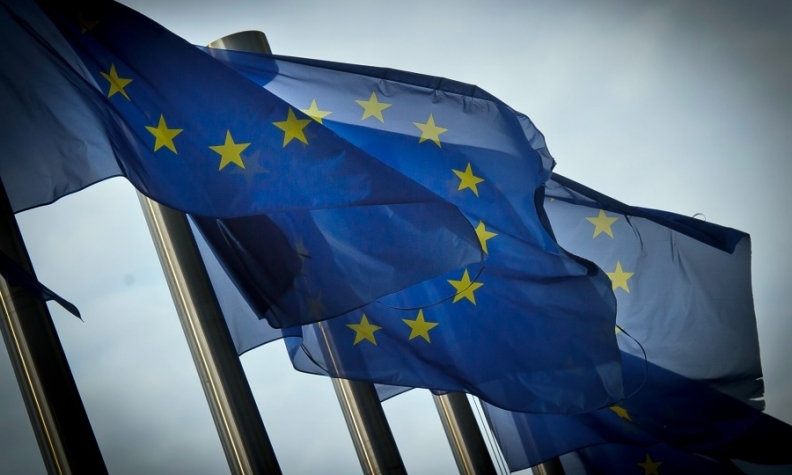 Although Europe's outlook appears brighter, that's not to say there will be no long-term damage. The lengthy downturn will have a profound effect on hardest-hit Renault, Fiat and PSA. Just as the debt crisis is already resulting in what commentators are calling a "lost generation" of young Europeans who may have fallen permanently behind in the job market, so has Europe's Carmageddon created a similar "lost generation" among automakers. While the long-term survival of Fiat and PSA is not in question, the mid- and long-term implications for the volume manufacturers are more factory closures, more job cuts, and – most importantly – reduced competitiveness from lack of investment. With tighter fuel consumption standards looming in 2020, and consumers demanding ever more comfort and connectivity, carmakers that don't invest now will be lagging in the future. "You end up in a downward spiral," Barclay's Tyndall said. Europe's battered car industry can look forward to 2014 as the year that the slump ended. But one thing is for sure: forecasters don't expect car sales to ever reach their pre-crisis peaks. Europe's reign as the world's largest car market has probably ended.